A fully autonomous vehicle could generate as much data as the equivalent of every movie ever made … on a daily basis. “The amount of data being generated in these vehicles is just mind boggling,” said Tom Karol, general counsel – federal, The National Association of Mutual Insurance Companies (NAMIC). The challenge is for the insurance industry to obtain the few key needles of relevance in that significant haystack of information, and to translate that data into a common, understandable language. This is no easy task considering the countless variables in the autonomous vehicle industry. 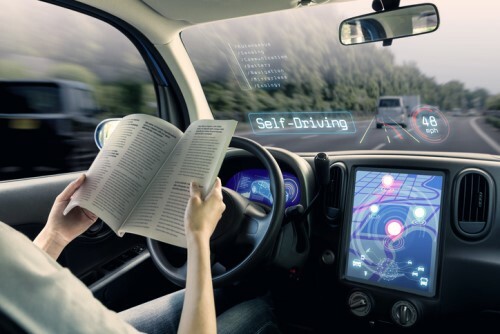 “Autonomous vehicles are going to be a dog’s breakfast of different circumstances, standards, models and requirements,” Karol told Insurance Business. “Insurers need to look at data and analytics over a period of time in order to price policies, but the autonomous vehicle industry is shifting so rapidly that it’s challenging for insurers to collect the truly relevant data. A recurring question in the autonomous vehicle industry revolves around who’s held liable if an automated vehicle is involved in an accident. Liability standards vary dramatically from state to state. For example, in Arizona where the tragic self-driving Uber fatality occurred, the state has a standard where if you’re as little as 1% responsible for the vehicle, you have some liability for an incident. Other states have responsibility standards of 25-50%. Autonomous vehicles are the future. There’s a race among US states to enable autonomous vehicle testing on their roads, with 20 out of 50 states now embracing trial runs. There has been a “great rush” in terms of removing regulatory obstacles in order to attract autonomous vehicle testing and development in individual states – but there hasn’t been a corresponding development of liability allocations, Karol explained. “For the most part, the individual states are tending to leave their existing liability structures in place in terms of new vehicles. They’re not adopting new standards of liability to autonomous vehicles,” he said. “That’s partly because these new vehicles are so complex and their models vary dramatically. One thing insurers can focus on at this early stage is the safety standards of autonomous vehicles. NAMIC is pushing the industry to pick apart the “nebulous promise of safer autonomous vehicles” and agree a metric standard of how safe self-driving vehicles should be before they’re deployed on the roads. “The focus of NAMIC and its members has always been safety first when it comes to autonomous vehicles,” Karol commented. “Although we applaud the deployment of these vehicles, we think first and foremost they must be as safe as possible. Following Uber smash are driverless cars still deemed safer?